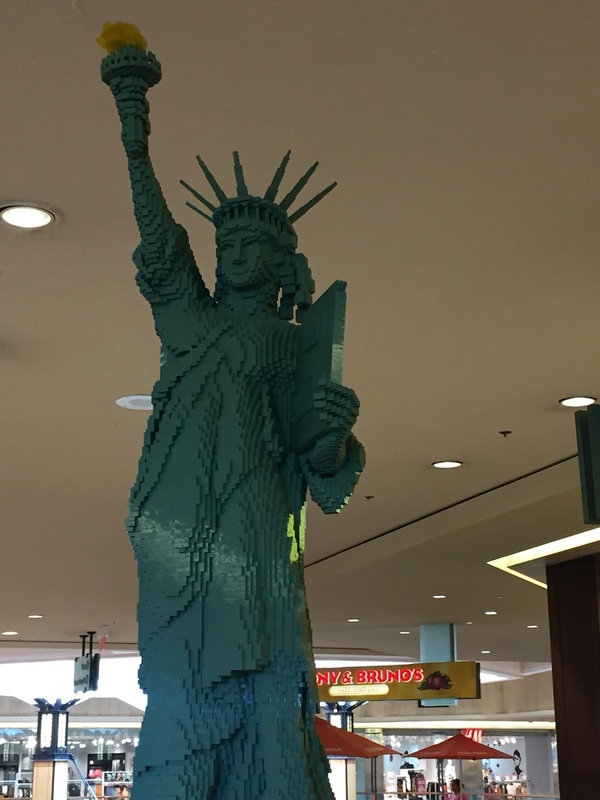 My family and I had the opportunity to see a great new exhibit of Master built Legos at Northbrook Court. 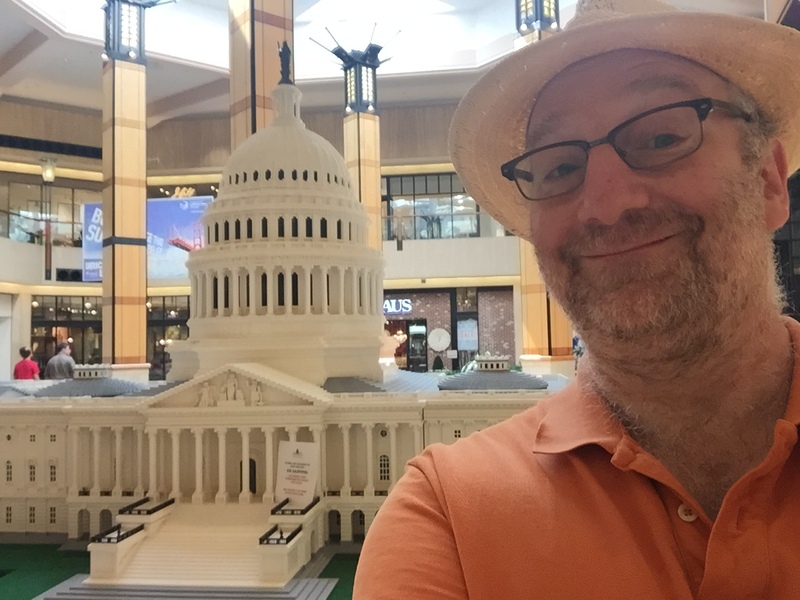 The exhibit, entitled LEGO Americana Roadshow: Building Across America, features 10 giant immensely detailed American historical monuments built by some of LEGO's Master Builders. 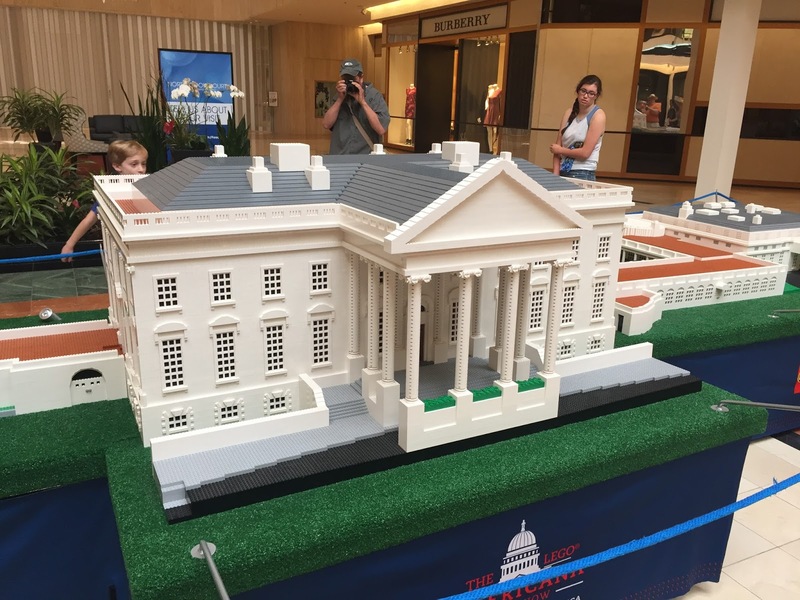 Buildings include the U.S. Capitol Building, White House, Supreme Court, Washington Monument, Jefferson Memorial, Lincoln Memorial, Statue of Liberty, Independence Hall, the Liberty Bell and Old North Church. The models are truly beautifully made by Master Builders (there are less than 10 in the world, employed by Lego) and each one took hours upon hours, most with THOUSANDS of bricks. The exhibit has been touring throughout the states (mostly to malls where there is a Lego Store) After Northbrook (which ends July 5) here is the schedule for 2016. 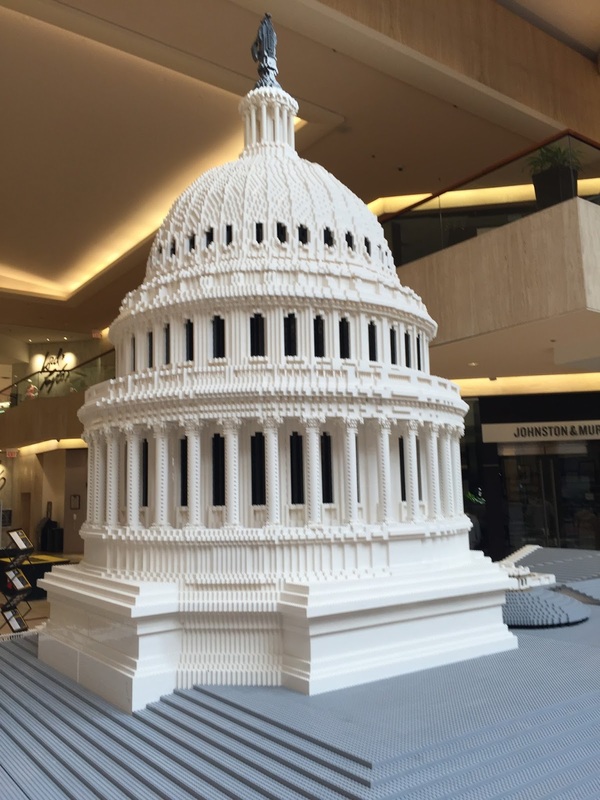 The Capitol Building. The dome is 10 ft tall! 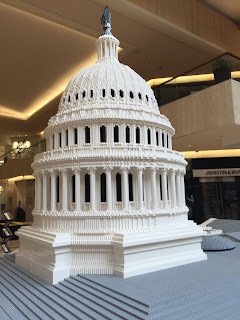 Ten one-of-a-kind, large scale models of American Landmarks made completely out of LEGO bricks by LEGO Master Builders – including the U.S. Capitol Building, White House, Supreme Court, Washington Monument, Jefferson Memorial, Lincoln Memorial, Statue of Liberty, Independence Hall, the Liberty Bell and Old North Church – take over Northbrook Court and entertain customers with stunning visuals and fun facts. Statue of Liberty is over 9 feet tall! 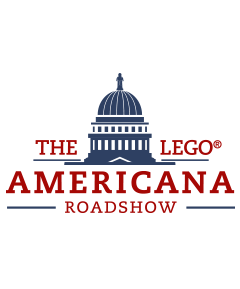 · LEGO Scavenger Hunt: Attendees can collect a special LEGO prize after completing the LEGO Americana Roadshow scavenger hunt. 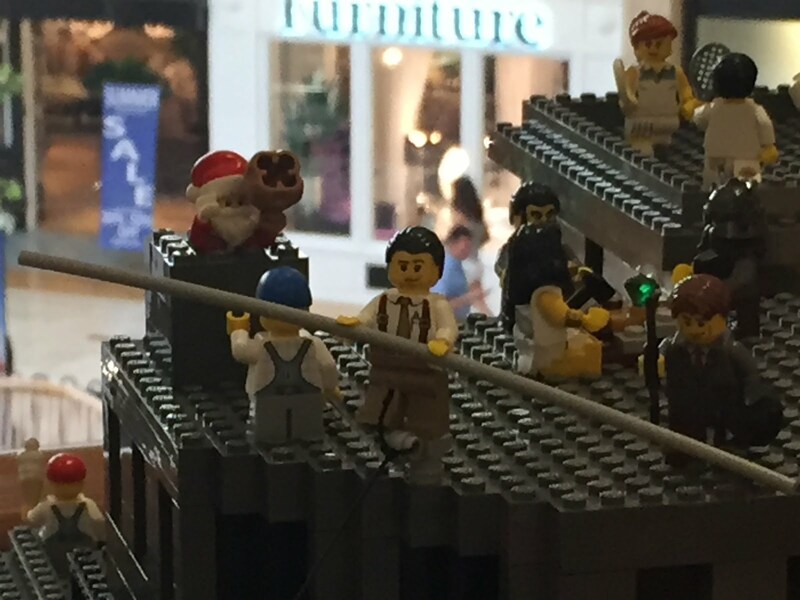 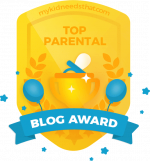 This was made by a certified builder, and features a Minifig of the Wallenda tightrope walk!